“The sport of surfing makes the globe very small,” Tushar Pathiyan. “…and once you tap into it, you realise that it is really about the community, the surfers, just as much as it is about the sport, more so,” Ishita Malaviya. 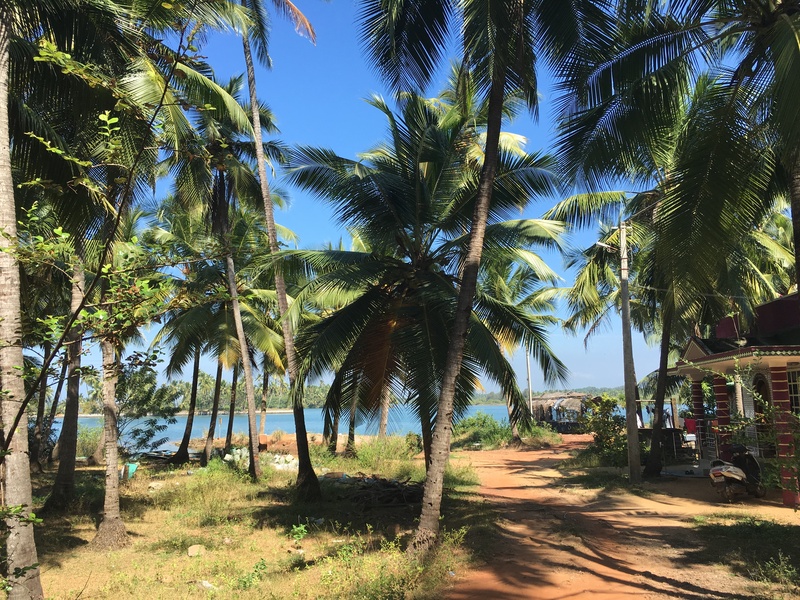 It was great getting to know Ishita Malaviya and Tushar Pathiyan a little during my first visit to the Shaka Surf Club in the small village of Hoode, near to Udupi, South West India. It took me a while to find the Shaka team after I arrived in Hoode – not because the place is big, but because it is so small. These waves, and Shaka’s club, are hidden away on a tiny, long, thin peninsular called Kodi Bengre separated almost entirely from land by the Sita River and jutting out into the Arabian Sea like an elongated upside-down Baja California. Poetry surrounds us here. As do hushed expanses of neatly-planted coconut palms, bustling fishing huts, boats slowly cruising sea or river with massive nets – nets strung everywhere: on roofs, over wells, on washing lines – everywhere, temples every 50 metres, tiny shacks sell chai and coconuts, children cruise around the village on bikes or walk their goats in the evening all screaming ‘hello!’ (tourists are still novelties here), mosques mark dawn, noon, and night with their haunting and ethereal song, as do the mosquitoes, buses from Udupi clatter past, stay a while and then go back. They are, however, leaning into powerful change in the smartest, sanest of ways. Ishita and Tushar are using their sport and their business to support positive change in India, especially when it comes to envisaging new possibilities for women and girls in the country. The 65-year-old female neighbour who cooks the lunches for guests at Shaka recently tried surfing for the first time. She’s lived next to the ocean all of her life, and this was the first time she had entered the water for anything other than religious observance. 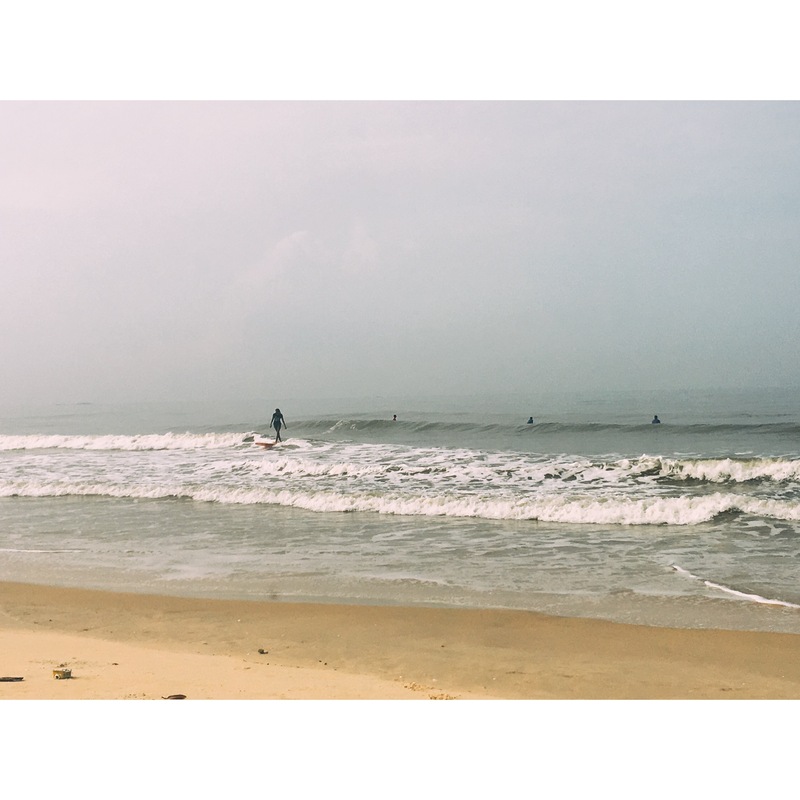 They engage in artistic, intentional profile building, wisely leveraging Ishitar’s status as the first recognised Indian woman surfer: a powerful sight in a country where engaging with the ocean for sport is rare and where a woman engaging in an activity such as surfing – a necessarily public act, is even rarer. In 2013, Ishita joined together with independent surf filmmakers and a unique team of female surfers, including Director, Producer and Environmentalist Crystal Thornburg-Homcy, Liz Clark, Lauren Hill, Kate Baldwin, and Beyond the Surface International’s* Founder, Emi Koch (we had the pleasure of meeting Emi at the first Surf + Social Good Summit) to make ‘Beyond the Surface‘: a movie tracing their route around the south coast of India, the waves they caught, the people they met, and found themselves doing something very special at the end. But you have to watch the movie to find out what it is they did. What speaks loudest from Beyond the Surface is the sheer joy of riding waves. I could watch that footage again and again as a reminder of “the best feeling in the world” (as my surfing friends in A Bay would say). The entire film was shot on 16mm motion picture, a top priority for famed co-director and director of photography, Dave Homcy. You can download the movie on iTunes and tune into Shaka’s blog to learn about more of their work. Shaka now have a good stock of boards to use for lessons and to hire to visiting surfers, as well as an on-site camp for visitors who want to sleep by the waves. On an ongoing basis they use their skills, time, and resources to support the local community in learning to swim, surf, and develop water safety skills: this remains a free service to the village and to any visiting local. 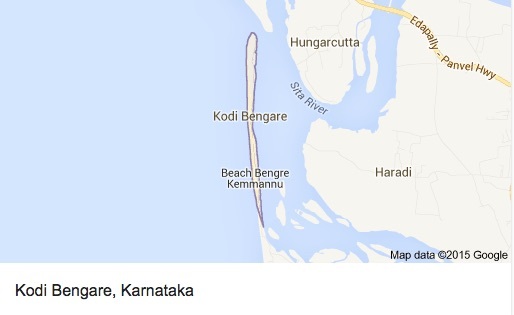 Shaka are doing wonders for promoting a respect for the ocean in their part of India. Ishita Malaviya is uniquely cross-stepping boundaries by being India’s first recognised female surfer and she is doing it with the longboarder’s unique elegance and grace. It is my honour to surf with them at their home break. Thanks, Tushar and Ishita. Shaka shaka shaka! 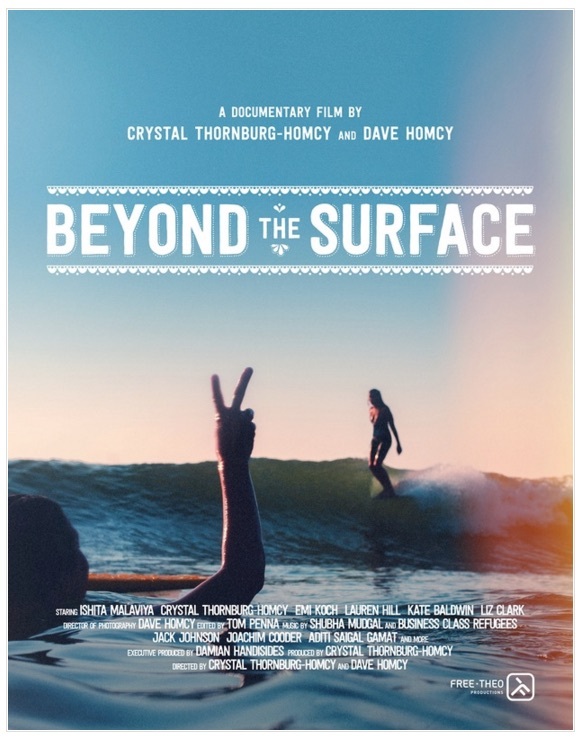 *Beyond the Surface International is a platform that seeks to eradicate youth homelessness in coastal regions worldwide and empower street children through the sport of surfing. I’m loving reading your blogs! Is river Sita named after Sita in the story / myth? Named after Sita, I believe, yes! I’m pleased you like them. I am so lucky to get to write them. 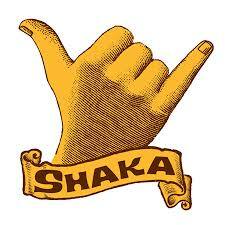 I just find your page and I was wondering where did you find your Shaka logo? How are you? This one comes from Kodi Bengre and the guys at the Shaka surf school. It’s great isn’t it?